DISCLAIMER: Neither the Supreme Court of Missouri/Illinois nor The Missouri/Illinois Bar reviews or approves certifying organizations or specialist designations. Thus, we do NOT and CANNOT claim to specialize in any particular area of law. 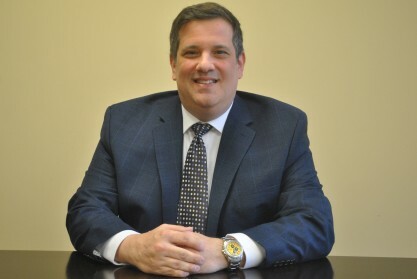 Stange Law Firm, PC was founded by two domestic litigation attorneys, Kirk C. Stange, Esq. 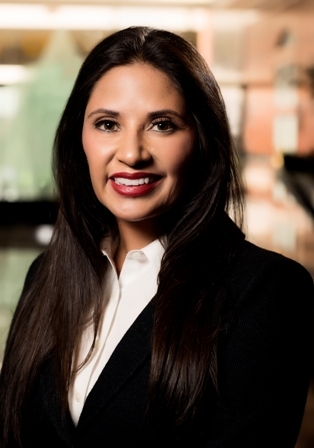 and Paola Arzu Stange, Esq., and is dedicated exclusively to the practice of family law and to preserving the integrity of fractured families. Stange Law Firm's hard work and successful outcomes for clients has helped them achieve a great deal of recognition, including three attorneys from Stange Law Firm, PC being selected as Super Lawyer Rising Stars in 2015 by Missouri and Kansas Super Lawyers, including Paola Stange, John Kershman and Jonathan Glassman. Kirk Stange was selected as a Super Lawyer by Missouri and Kansas Super Lawyer in 2015 and 2016. Additionally, Jillian Wood was selected as a Super Lawyer Rising Star in 2015 to 2017 by Illinois Super Lawyers. Mr. Stange has authored a chapter in a book through Aspatore Publishing titled: Strategies for Military Family Law: Leading Lawyers on Navigating Family Law in the Armed Forces (Inside the Minds). In 2014 he published a full-length book through Aspatore Publishing titled: Prenuptial Agreements Line by Line. In 2015, Mr. Stange wrote a chapter in a book in 2015 through Thomson Reuters (Aspatore Publishing) titled: "Strategies for Family Law in Illinois." Ms. Stange was selected by St. Louis County Judges in 2011 as one of five to win the Volunteer Domestic Violence Guardian ad Litem Award. She served on the St. Louis County Circuit Court Rules Committee, in 2010, where new local court rules in family law cases were adopted. Ms. Stange has been a commentator for CLE Seminars through the Missouri Bar. Stange Law Firm, PC exclusively practices family law, which distinguishes the firm from many others. The firm also also makes accessibility key by returning all phone calls and e-mails left before 5 pm the same day and providing the personal cell phone number of attorneys. At Stange Law Firm, PC, we believe in providing excellent family law representation to help clients achieve the best possible results. In some cases, the parties might be able to obtain this through an amicable settlement via negotiation or through mediation or collaborative law. In other cases, litigation is necessary for a positive outcome. At Stange Law Firm, PC, we can assist clients no matter what means are necessary to obtain a positive outcome. The firm has litigators who can take a case to trial if necessary. And the firm excels in negotiated settlements, including those which are obtained using alternative dispute resolution. Kirk C. Stange, Esq. is a Founding Partner of Stange Law Firm, PC. He is licensed in Missouri, Illinois, Kansas (inactive) and the U.S. District Court for the Eastern District of Missouri. Mr. Stange received his JD from the University of Missouri-Columbia. 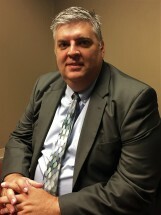 Mr. Stange is a trained mediator, collaborative law attorney and guardian ad litem. He has years of family law litigation experience. Mr. Stange was chosen as a Super Lawyer Rising Star through Missouri and Kansas Super Lawyers in 2013 and 2014 as one of the top up-and-coming lawyers in the State of Missouri. No more than 2.5 percent of lawyers in the state receive this honor each. In 2015 and 2016, he was named a Super Lawyer by Missouri and Kansas Super Lawyer. Mr. Stange has also received numerous awards from organizations such as: National Trial Lawyers, Lead Counsel, National Academy of Family Law Attorneys, American Institute of Family Law Attorneys, The American Society of Legal Advocates, AVVO and many more. Mr. Stange has been a mentor through the Missouri Bar Mentoring Program. He is a frequent lecturer at CLE seminars for other attorneys and legal professionals on family law topics through National Business Institute and the Missouri Bar. Mr. Stange wrote a chapter in a book through Aspatore Publishing titled: Strategies for Military Family Law: Leading Lawyers on Navigating Family Law in the Armed Forces (Inside the Minds). Mr. Stange also published a full-length book through Aspatore Published in 2014 titled: Prenuptial Agreements Line by Line. In 2015, he wrote a chapter in a book in 2015 through Thomson Reuters (Aspatore Publishing) titled: Strategies for Family Law in Illinois. Mr. Stange is on the Advisory Council for Kids Rock Cancer, is a member of The Journey and has served as an officer in Clayton-Ladue Rotary. Paola Arzu Stange, Esq. is a Founding Partner of Stange Law Firm, PC. She is licensed to practice law in Georgia and Missouri. Ms. Stange received her B.S. in Biology from Emory University in Atlanta, Georgia. Ms. Stange also obtained her Juris Doctorate at Emory University School of Law. Since graduation, she has practiced family law exclusively. 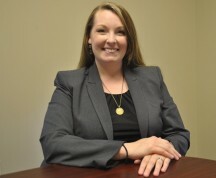 Ms. Stange is a trained Collaborative Family Law Attorney, Mediator and Guardian Ad Litem. Ms. Stange was one of several selected by St. Louis County Circuit Court Judges in 2011 to receive the Outstanding Volunteer Domestic Violence Guardian ad Litem Award. Ms. Stange was selected as a Super Lawyer Rising Star through Missouri and Kansas Super Lawyers from 2013 until 2016. Each year, no more than 2.5 percent of the lawyers in the state receive this honor. She has also received awards from organizations including: Lead Counsel, AVVO, National Trial Lawyers, National Academy of Family Law Attorneys, American Institute of Family Law Attorneys and many more. Ms. Stange is fluent in English and Spanish and regularly assists clients who need a Spanish-speaking attorney. Jillian A. Wood is the Managing Partner at Stange Law Firm, PC. She is licensed to practice law in both Illinois and Missouri. Ms. Wood is also a trained mediator and collaborative law attorney. Ms. Wood obtained her B.S. in Clinical Laboratory Science from Saint Louis University where she attended the University as a Presidential Scholar. She later returned to the University and received her Juris Doctorate and Masters in Public Health. Ms. Wood was selected as a Super Lawyer Rising Star for Family Law in 2015 and 2016 by Illinois Super Lawyers Magazine. Each year, no more than 2.5 percent of the lawyers in the state receive this honor. She is also Lead Counsel Rated for Divorce and Family Law. John Kershman is a Partner managing the Missouri Offices (with the exception of the Arnold, Missouri Office). He is admitted to practice in Missouri, including the Eastern and Western Federal Districts and the Eighth Circuit Court of Appeals. He is also a trained mediator and collaborative law attorney. Mr. Kershman received his Juris Doctorate from Washington University Law School where he is now an adjunct professor. Mr. Kershman has been selected as a Super Lawyer Rising Star in 2010-2015 by Missouri and Kansas Super Lawyers as one of the top up-and-coming lawyers in the State of Missouri. Each year, no more than 2.5 percent of the lawyers in the state receive this honor. 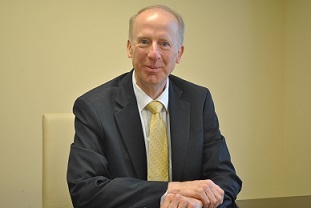 Mr. Kershman is also Lead Counsel Rated for Divorce and Family Law. Kelly Davidzuk is a Regional Team Leader in Missouri who assists in managing the St. Charles, Union, Troy, Columbia and Lee's Summit offices of the firm.She is licensed to practice law in the State of Missouri. She is also Lead Counsel Rated for Family Law. 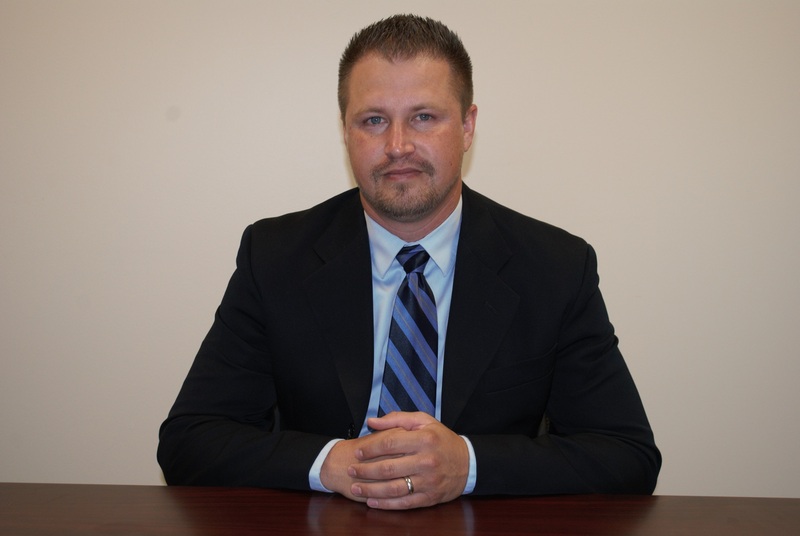 Chad Hager is an Associate Attorney with Stange Law Firm, P.C in the Union Office in Franklin County, Missouri. He is licensed to practice law in the State of Missouri. Mr. Hager graduated from Middle Tennessee State University with a B.A. in History. Mr. Hager received his Juris Doctorate from Southern Illinois University School of Law in Carbondale, Illinois. Kristin Olson is an Associate Attorney at Stange Law Firm, PC. She is based out of the firm's St. Clair County office in Belleville, Illinois. She is licensed to practice in Illinois. She attended Western Illinois University in Macomb, Il, where she earned a Bachelor of Arts in Political Science. She then when on to earn her Juris Doctor from Southern Illinois University in Carbondale, IL. Betsy Wirth is a Regional Team Leader in Illinois who assists in managing the Springfield and Belleville offices of the firm. She is based out of the firm's Sangamon County office in Springfield, Illinois. Betsy earned a Bachelors of Science in Philosophy from Indiana State University in Terre Haute, Indiana before attending Northern Illinois University in DeKalb, Illinois to earn a Juris Doctor. 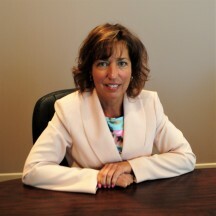 Ms. Wirth is Lead Counsel Rated for Divorce and Family Law. She was also named a 10 Best Family Law Attorney in Illinois for Client Satisfaction by the American Institute of Family Law Attorneys. 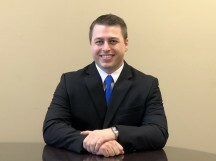 Andrew Rankin is an Associate Attorney with Stange Law Firm, PC in the Springfield, Illinois office. He is licensed to practice law in the state of Illinois. Andrew graduated from Southern Illinois University Carbondale where he received his B.A. in Aviation Management and Associates in Aviation Flight. He also received his Jusris Doctorate from Southern Illinois University Cardondale in 2009. 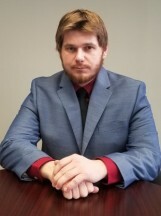 Eric C. Sexton is an Associate Attorney at Stange Law Firm, PC. You can find Eric representing clients in solely family law matters out of the firm's West County office in Ellisville, Missouri. Mr. Sexton earned his Juris Doctor from Washburn University School of Law in Topeka, Kansas. After earning his degree, Eric gained his experience in the legal field working for multiple law firms in the Kansa City, Missouri area. He is licensed to practice in Kansas and Missouri. H. Edward Ryals is an Associate Associate Attorney at Stange Law Firm, PC in the Jefferson County office located in Arnold, Missouri. He is licensed to practice law in the state of Missouri and Illinois. Edward represents clients in a wide variety of family law matters, including, divorce, child custody, child support, guardianship and other domestic relation matters. Note: The choice of a lawyer is an important decision that should not be based solely upon advertisements. H. Edward Ryals is responsible for the content. Principle place of business 120 South Central Avenue, St. Louis (Clayton), Missouri 63105. Michael Roby is an Associate Attorney at Stange Law Firm, PC in the St. Charles County office located in St. Charles, Missouri. He is licensed to practice law in the state of Missouri. Michael Roby represents clients in a wide variety of family law matters, including, divorce, child custody, child support, guardianship and other domestic relation matters. Note: The choice of a lawyer is an important decision that should not be based solely upon advertisements. Michael Roby is responsible for the content. Principle place of business 120 South Central Avenue, Suite 450, St. Louis (Clayton), MO 63105. Warren is a Senior Associate Attorney located in our Edwardsville office in Madison County, Illinois. Warren is a dedicated attorney, practicing law in Illinois since 1988, who will ensure that as a client, your needs will be taken into account and that you will receive zealous advocacy. Warren received his Juris Doctor from Southern Illinois University in Carbondale, before obtaining his Masters in Business Administration from the University of Phoenix. He also received a Bachelor of Arts in Political Science from Central Missouri State University, as well as an Associate of Arts in Liberal Studies from St. Paul College. Immediately prior to joining Stange Law Firm, PC, Warren worked as an Associate Attorney at another firm. Note: The choice of a lawyer is an important decision that should not be based solely upon advertisements. Ward Rowe is responsible for the content. Principle place of business 120 South Central Avenue, Suite 450, St. Louis (Clayton), MO 63105. Regina Wells is a Senior Associate Attorney at Stange Law Firm, PC in the West County office located in Ellisville, Missouri. She is licensed to practice law in the state of Missouri. Regina represents clients in a wide variety of family law matters, including, divorce, child custody, child support, guardianship and other domestic relation matters. Note: The choice of a lawyer is an important decision that should not be based solely upon advertisements. Regina Wells is responsible for the content. Principle place of business 120 South Central Avenue, Suite 450, St. Louis (Clayton), MO 63105. Junior Associate Attorney, Aryn Goempel understands the hardships and different emotions that come with any family law matter. That's why she is devoted to her clients, leading them through every step of the way. Aryn will help guide you in whatever your family law matter may be. Aryn represents clients out of the firm's Union, Missouri office. Aryn Goempel graduated from University of Tennessee with her Bachelor of Arts degree in Political Science and Religious Studies. She then went to further her education, and received her Juris Doctorate Degree from Ohio Northern University Petit College of Law. Aryn is licensed to practice law in the state of Missouri. Amy Kristen is a dedicated and diligent attorney that will help you through the hard times of a family law issue. Amy received her Juris Doctorate from Southern Illinois University School of Law, and since graduation has worked as an Associate Attorney for various firms in the Carbondale area. Family law matters require an attorney's undivided attention and full commitment to you and your case, which is exactly why our attorneys solely practice family law. Amy will be there to answer all of your questions you may have and make sure you are informed of each step taken throughout your case. 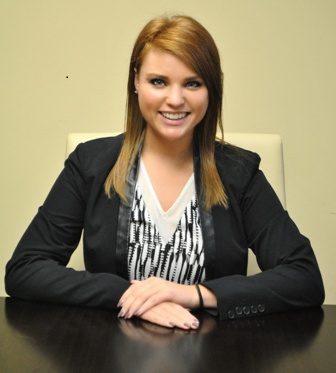 Amy is an Associate Attorney in our Belleville, Illinois office located in St. Clair County. When handling a difficult family law issue, you need an attorney who's going to support you every step of the way. Antony Jones is that attorney. He is able to confront any family law issue with integrity and devotion, all because of his hard work and dedication to his practice of family law. Antony can represent you out of the Overland Park, KS Office in Johnson County. He is licensed to practice in Kansas and Missouri. Antony attended Northwest Missouri State University, where in 1992 he received his Bachelor of Arts Degree in English and Political Science. He then went on to receive his Juris Doctor from the University of Missouri- Columbia in the spring of 1995, and has been practicing law for the past 21 years. Because going through a family law matter can be a stressful and difficult time, it is important to work with an attorney that is going to be there with you every step of the way. Calley Mize understands the varying emotions that result from family law matters, and will be there to help guide you through every step of your case. 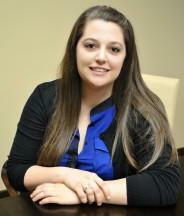 Calley is a Junior Associate and licensed to practice law in Illinois. Calley represents clients out of our Edwardsville, IL office. Calley earned her Juris Doctor from the Southern Illinois University School of Law in Carbondale, IL in 2014. Prior to studying the law, she obtained her Bachelor of Arts from Southern Illinois University-Edwardsville, where she studied Political Science. 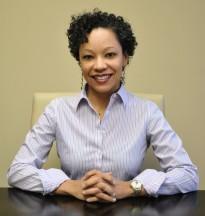 Stephanie A. Powell is an Associate Attorney at Stange Law Firm, PC. Stephanie received her undergraduate degree from Webster University located in St. Louis. She went on to further her education and received her Juris Doctorate from St. Louis Unversity School of Law. Prior to joining Stange Law Firm, PC, Stephanie worked as an Assistant County Counselor in Jefferson County, Missouri for several years. She also previously worked for a St. Louis City Judge as Judicial Operations Assistant. When you hire an attorney, you want to make sure that they are driven, passionate and will work hard for your rights. That's how Kurt (Xiaojuan) Yao works everyday in his family law practice at Stange Law Firm, PC in our Arnold, MO office in Jefferson County. Kurt attended Syracuse University College of Law, where he obtained his Juris Doctor degree in 2015. While there, he also served as the Treasurer of the Asian Pacific American Law Students. Prior to that, he received his Bachelor of Science in Business Administration from St. Louis University in 2011. Searching for a family law attorney can be a difficult time, you could be feeling overwhelmed or at a sense of loss. Turning to an experienced and educated attorney can make all the difference in your case. The attorneys at Stange Law Firm strictly practice family law and are here to listen and guide you through the legal process. Andy Boyadzhyan is one of those attorneys and he is practicing out of our firm's Springfield, Missouri office. Andy is an Associate Attorney for the firm and if you are going through a divorce, child custody, child support, paternity, modification or any family law issue he is Here to Help You Rebuild Your Life. Andy graduated with a Bachelor of Arts in Government & Politics from St. John's University. He went on to further his education and obtained his Juris Doctor from Touro College Jacob D. Fuchsberg Law Center, Central Islip in New York. When Andy isn't practicing family law he enjoys barbecues or just being with his wife and two kids. When facing a divorce or any family law matter(s) it can be an extremely emotional time for the parties involved. You may wonder if you are turning to the correct law office to handle your family law case. At Stange Law Firm our attorneys solely practice divorce and family law cases so you can feel a sense of ease about your case. All of the attorneys at our firm have the correct experience to handle your case. 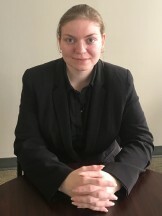 Stange Law Firm attorneys also want their clients to always have communication with them so they give them their cell phone numbers because they know family law issues don't happen between 9 a.m. and 5 p.m.. Nna Brammer is an Associate Attorney in our Wichita, Kansas office and is here to assist you. Nna graduated with a Bachelor of Arts in Political Science from Fort Hays State University and then went on to obtain her Juris Doctor from Washburn University School of Law in Topeka, Kansas. Going through a divorce or any family law matter can be a difficult time for anyone involved. It can leave you feeling lost and overwhelmed. The attorneys at Stange Law Firm believe in passionate and diligent care toward their clients, Junior Associate Attorney Chauncy Graham is one of these attorneys. Chauncy will be there through every step of your family law case. Chauncy obtained his law degree from Southern Illinois University School of Law and is practicing solely on family law in our Springfield, Illinois office. In his free time Chauncy enjoys traveling, cooking, watching movies, playing video games and listening to music. Originally from Cleveland, Mississippi Chauncy is a huge fan of the Ole Miss Rebels. 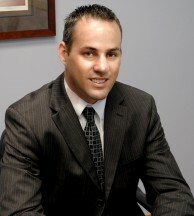 Jared brings to Stange Law Firm over 16 years of experince in the legal profession. He earned his Juris Doctor from Benjamin N. Cardozo School of Law in New York. Before obtaining his J.D. Jared graduated from George Washington University with a Bachelor of Arts in Political Science. Jared is licensed to practice law in Missouri but also many Districts in New York. Because going through a family law matter can be a stressful and difficult time, it is important to work with an attorney that is going to be there with you every step of the way. Andrew Ricci understands the varying emotions that result from family law matters, and will be there to help guide you through every step of your case. Andrew is an Associate Attorney and licensed to practice law in Illinois. Andew represents clients out of our Springfield, IL office. Andrew earned his Juris Doctor from Northern Illinois University School of Law. Prior to studying law, he obtained his Bachelor of Arts from Keene State College, where he studied Film, Theater and Dance. When Andrew isn't practicing family law he enjoys going to new restaurants, cooking/trying new recipes, working out, watching movies/tv shows and when the weather is right.. swimming. When you are facing a family law matter(s) it can be a very emotional time for the parties involved. One of the most important parts of the process is finding the correct representation for your case. The attorneys at Stange Law Firm, PC practice solely on family law matters and are here to listen to your case. Patrick Rollings is an Associate Attorney in our Clayton, Missouri office. Patrick is here to assist you with your legal questions and is Here to Help You Rebuild Your Life. Patrick graduated with his Bachelor of Arts in Journalism & Near Eastern Language in Culture from Indiana University. He went on to further his education and received his Juris Doctor from Washington University School of Law in St. Louis, Missouri. When Patrick isn't practicing law he enjoys going to the local outdoor scenes of St. Louis such as the St. Louis Art Museum, the Botanical Gardens and the Saint Louis Zoo. He also enjoys exploring old and new restaurants, playing video games and cheering for the Los Angeles Lakers. Note: The choice of a lawyer is an important decision and should not be based solely upon advertisments. Individuals going through a divorce or any other family law matter often find themselves going through a wide range of emotions. That is why it is imperative to have representation on your side that can provide guidance and assistance through this difficult time. Armand Shukaev understands the situations at hand, and will be there with you throughout the duration of your family law matter. Armand is an Associate Attorney and represents clients out of the firm's Wichita, Kansas office is Sedgwick County. He is licensed in Kansas and Missouri. Armand received his Juris Doctor from Washburn University School of Law in Topeka, Kansas. Prior to earning that degree, Armand attended Cleveland State University where he obtained a Bachelor of Arts is Psychology. In his free time, Armand can be found watching or playing soccer. He also enjoys building computers, reading books, catching up with family and friends, and going to different museums. Note: The choice of a lawyer is an important decision and should not be based solely upon advertisements. Brian Langley is responsible for the content. Principle place of business 120 S. Central Avenue, Suite 450, Clayton, MO 63105. When going through a divorce or any family law matter(s) you may have a lot of questions or concerns. At Stange Law Firm, PC we have the experienced attorneys to assist you in your family law needs. Our attorneys exclusively practice divorce and family law so they will have the answers to your questions. Our attorneys also give their phone numbers to their clients because they know you may have a problem or concern past working hours. 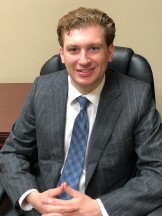 Nicholas Lunnen is one of our Junior Associate Attorneys in our Springfield, Missouri office and he is here to listen and properly represent you. Nicholas will be there for his clients and is Here to Help You Rebuild Your Life. Nicholas graduated with a Bachelor of Arts in Russian from the University of Utah. He went on to further his education and received his Juris Doctor from Arizona Summit Law School in Phoenix, AZ. Dealing with a family law or divorce matter can be a difficult time for anyone. That is why it is crucial to have an attorney who will listen and fight for you every step of the way. Kevin Kelley is that attorney, and he will fight for your rights in your family law case. Kevin is an Associate Attorney for Stange Law Firm, PC working with clients from our Overland Park, Missouri office in Johnson County. Kevin obtained his Juris Doctorate from the University of Missouri Kansas City School of Law. Kevin is licensed to practice law in the state of Missouri. Family Law matters can cause an emotional time for everyone involved, which is something that each of our attorneys at Stange Law Firm, PC understands. Sarah Washburn is one of those attorneys. Sarah is an Associate Attorney located in our Troy office in Lincoln County, Missouri. Sarah received her Juris Doctor from DePaul University College of Law. Before receiving her law degree Sarah received a Bachelor of Science in Physics from DePaul University. Sarah as the appropriate knowledge and legal background to handle any of your family law needs. Finding the right family law office or attorney could be a difficult decision to make. When you turn to Stange Law Firm, PC you can trust that your divorce or any family law matter(s) will be handled with the utmost care and compassion. The attorneys at Stange Law Firm, PC solely practice family law because it is what our firm was founded on, providing clients with diligent and compassionate representation in family law matters. Katharine Gonzalezis one of our Associate Attorneys at our firm and is practicing family law in our Bloomington, Illinois office. Katharine will listen to your case and is Here to Help You Rebuild Your Life. Katharine graduated with a Bachelor of Science in Criminal Justice from Saint Joesph University,she went on to further her education and received her Juris Doctor from Thomas M.Cooley Law School in Lansing, Michigan. Looking for a divorce or family law attorney could be a difficult time. You may be having thoughts about the matter at hand and want to make sure you are turning to the correct family law attorney(s). At Stange Law Firm, PC we dedicated our firm to the practice of family law and we aim to guide our clients in the correct path when it comes to their family law matter. 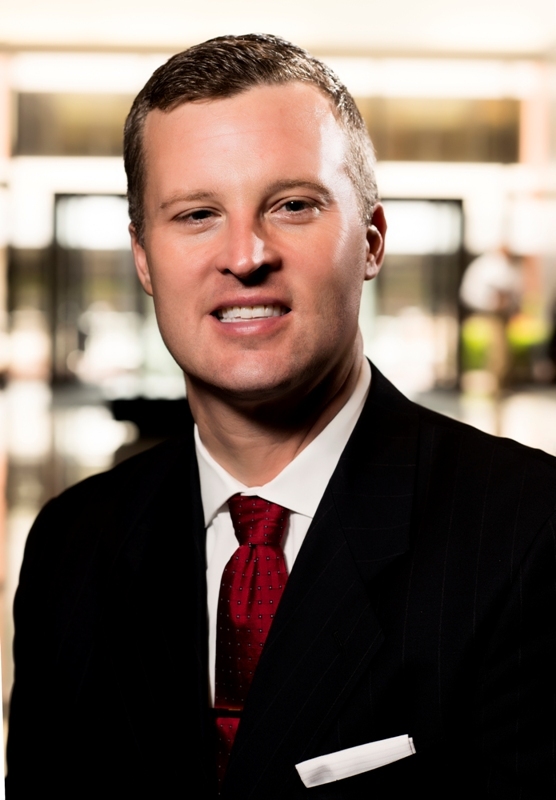 Ryan Myers is one of the attorneys at Stange Law Firm, PC and is practicing family law in our Lee's Summit office. Ryan is an Assoicate Attorney for our firm and will listen to your case and is here to Help You Rebuild Your Life. Ryan graduated from Rockhurst University with a Bachelor of Arts in Psychologyand went on to further his education and received his Juris Doctor from University of Missouri- Kansas City School of Law. Note: The choice of a lawyer is animportantdecision and should not be based solely upon advertisements. Going through a divorce or any family law matter(s) can put a huge burden on the parties involved. You want to find the right attorney for your case and one that will listen and guide you through the legal process. At Stange Law Firm, PC our attorneys are dedicated to the practice of family law because it is what our firm was founded on. We have the experienced family law attorneys that will take on your case and will protect your rights. Charissa Mayes a Senior Assoicate inColumbia, Missouriis one of these attorneys that will battle for your rights. Charissa graduated from University of Missouri - Columbia with a Bachelor of Arts in Political Science, she went on to further her education and received her Juris Doctor from Saint Louis University School of Law.